PS3 video converter to convert video in any format to PS3 on Windows/Mac. Edit videos with cropping, trimming, rotating, and more before converting to PS3. Download videos from 10,000+ video sharing sites by pasting links. 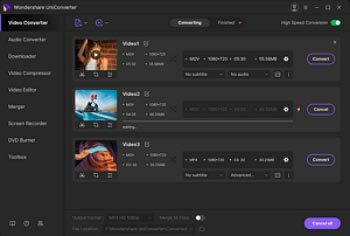 Versatile toolbox combines DVD Copy, GIF Maker, Fix Media Metadata, etc. The Gamers have their own special world. That's why the Sony PS3 is the ideal Home Video Game Console for the users. But the most amazing feature of the PS3 is that it allows the users to play videos and movies in various formats. The incredible design of PS3 includes high-performance graphics hardware that can even play the 3D videos. But the problem is that not all the formats are supported by PS3. Hence, you will need the best PS3 video converter for this purpose. So, in this article, we will discuss some reliable PS3 video converter that would help the users to make any video PS3 playable. It is not just the PS3 but also the other Play Station models that would need a video converter that can change the format of the videos. For this, you will need software which is capable enough to handle the High Definition videos professionally and work like a charm. 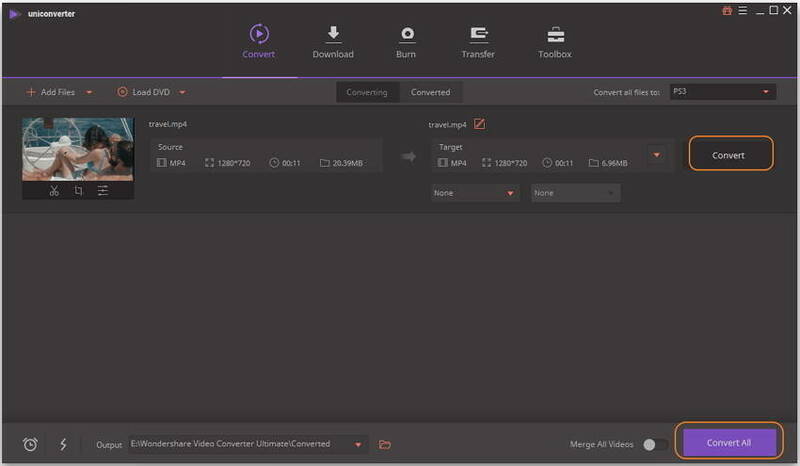 You can surely use Wondershare UniConverter (originally Wondershare Video Converter Ultimate) to convert any video's format. The software is a multipurpose utility tool that can perform various functions. The software is available as PS3 video converter for Mac and Windows both. Whether the videos are meant to be played on PS3/PS4/PS Vita, you can change the format as per your requirements. The software has support for over 1000+ formats for multimedia files. So, you can provide files in any format and you will be able to change it in Play Station compatible format. Convert videos in any format to PS3/PS4/PS Vita with 30X faster converting speed than any other converter. Support most audio and video formats to convert, such as MP3/M4B/WAV/MP4/AVI/MKV and more others. Download videos from YouTube and other 10,000 sites by simply pasting URLs. Customize videos before converting with features of cropping, trimming, rotating, etc. Burn videos to DVD with free DVD menu templates and customized features. Transfer videos from PC/Mac to devices easily via USB cable. The first step you have to take is to download the software on your system and install it properly. As soon as it is installed, launch it and you will come to the Convert tab. Now, you have to add the video files that you want to convert. Let's take an example of MP4	video files as some MP4 video format files are not supported by the PS. You can add the videos by clicking on the +Add files option and a search window will open up. Locate the files and load them in the interface. You can also opt for the drag and drop method to import the media files into the software interface. Once the files are loaded, tap on the Convert All Files to option and it will open a Drop-down menu. From the menu, select the Device tab and scroll down to find the Games option. When you click on Games option you will see the list of gaming consoles, choose the one on which you want to play the video and finalize it. At last tap on the Convert All option at the bottom of the screen to convert the format of the files all at once. Or you can tap on the Convert option right in front of the files. The process will start and it might take a while considering the fact that you are converting high-quality videos. When the conversion is finished, you will see the files in the Converted tab. You can also locate the destination of the files by tapping on the Folder icon. 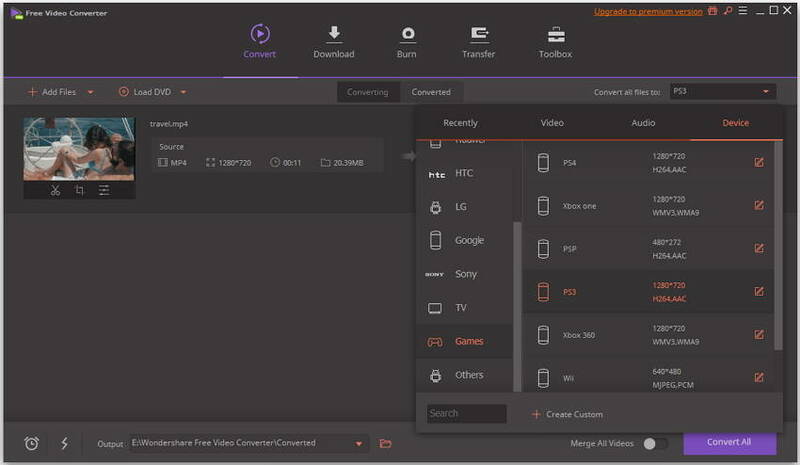 Wondershare Free Video Converter is the best free video to PS3 converter for Windows and Mac. It has all the functionality of its Premium version but also has some restrictions over the usage of features. But, don't worry; the software will serve you completely if you want to convert the video file format for a Play Station. 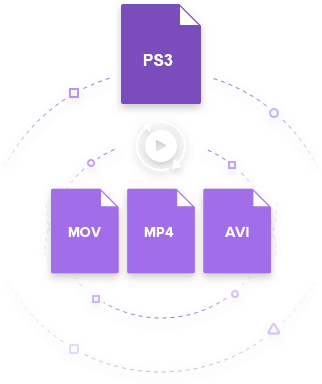 It is an effective and free PS3 video converter that would allow the users to get access to the all the function required for converting the format. The main difference among the software is that using it will leave a watermark on the files whereas the Ultimate version won't have a watermark on the converted files. Step 1: Download the Free version of the Wondershare Video Converter and install it on your system. After installing, open the application and you will see the main interface of the software. Step 2: Click on the Add files option and a Search window will open up. Get to the location of the video files whose format you want to convert and tap on the Open button to load them. Step 3: Now, go to the Output format option and in the drop-down window, select the Device tab and then the Game option to see the desired list of Play Station. Select the format as per your requirements. Step 4: You can also perform some editing on the video files. but the videos you convert through the Free Converter will have a watermark on it that can't be removed. Step 5: Finally tap on the Convert button in front of the files or tap on the Convert All option and the process of conversion will start. 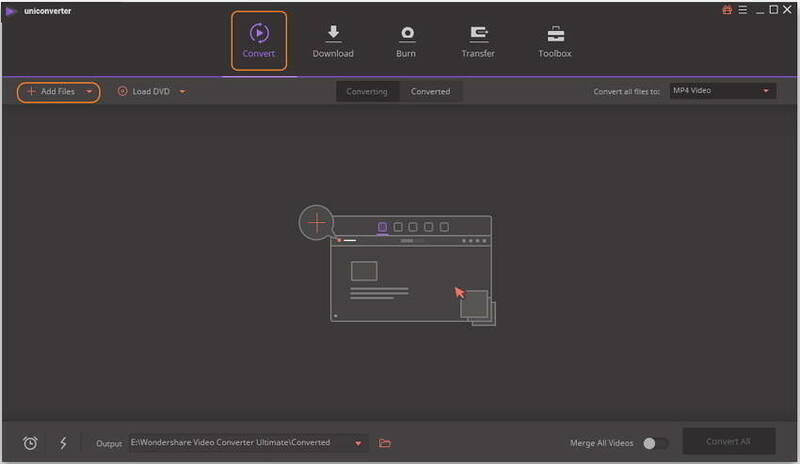 You can take the steps in Part 1 as reference, because the Wondershare Free Video Converter is the free version of Wondershare UniConverter (originally Wondershare Video Converter Ultimate), they are very similar on operating steps. 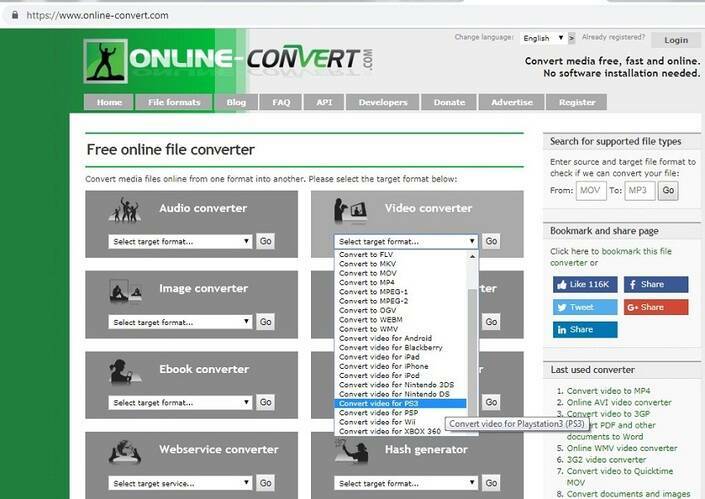 If the users want a tool that won't require downloading any kind of software on the computer, then surely Online-Convert.com is the website for you. The platform is specially designed to make the conversion process a lot easier than it used to be. And the biggest benefit is that the entire process is free and still offers an authentic service. This PS3 video converter online will be very helpful for the users who only require to change the format of the video just one time. Step 1: At first, open the website by clicking on the Online-Convert.com. The homepage will open up and you will see the various converter options on the homepage. From the Video Converter drop-down the list, scroll down to the option which says Convert Video for PS3. Step 2: You will be navigated to another page where you can either paste the URL of the video whose format you want to change or choose the already existing file on your system. Step 3: You will also have some optional settings for before you start the conversion. You can perform several customizations like cut, rotate, flip the video and disable the audio track if you want to. Step 4: Then finally tap on the Start Conversion option and the process will initiate. Soon you will have the video in the desired format. The PS3 converter supports more than 50 formats that can be converted into the PS3 format quickly and easily. Conclusion: Thus, in this article, we discussed the possible methods of converting the video formats to PS3/PS4/PS Vita formats. Although the other two methods were quite good none of them matches up to the features of the best PS Vita video converter which is Wondershare UniConverter (originally Wondershare Video Converter Ultimate). So, purchase it now to have access to the full potential of the software and also recommend it to your friends and family.